Cities such as Florence and Venice are often described as living museums, their distinctive characteristics visibly recalling a glorious past. With the great mass of tourists passing through them each year, these cities are also compared to cultural theme parks. Some commentators plainly state that Florence and Venice are Italy's version of Disneyland. In contemplating the interaction between culture and economy as part of my TeamFlorens application, the recommendations which had arisen from the 2010 conference were particularly informative. As my experience of Florence was primarily that of a consumer, I would like offer a different perspective to the type presented at the Berkshire Review for example, which provides a detailed personal commentary based on decades of experience in the cultural sector. To render museums, art galleries, libraries, etc. more attractive to children in order to activate a powerful multiplier of visitors. While this is of course a welcome strategy, I also wondered about an even more pervasive element of the global community that encompasses many ages and demographic classes - the many and varied consumers of popular culture. Our concept of taste in relation to art is quite complicated, and inevitably it is bound up in our ideas about social class. Let me take a little time to explore this more fully. I have already discussed the practice of art appreciation – art available for all and seen and enjoyed by all... The meaning of taste here is a combination of two definitions of the word: our faculty of making discerning judgements in aesthetic matters, and our sense of what is proper and socially acceptable. But by these definitions taste is both culturally and socially determined, so that what is considered aesthetically ‘good’ and socially ‘acceptable’ differs from one culture or society to another. Is the cultural heritage of Florence only for those wealthy enough to travel there, or individuals with an interest in art or collecting? What of those who have only ever known Florence from books and TV, or in the modern generation - those who have explored Florence virtually in a video game? Florence could propose to become the world capital of digitalization...The city could also capitalize on the experience deriving from the activities of the newly created Technological District of Cultural Resources... one of the initiatives through which Florence intends to requalify the urban and entrepreneurial environment to attract creative people. While this proposal seemed to be directly referencing the use of technology to develop industry and infrastructure, it could be equally argued that the extension of the market beyond visitors to Florence could be utilised by these endeavours. A wonderful example of this is the Uffizi Touch app for iPad. While it can be utilised during museum visits, it is also a viable digital resource. At this point, the availability of web based resources for cultural content in Italy is still in its infancy. Those who would seek to dismiss popular culture as irrelevant should first consider the market volume of those seeking information on the cultural heritage of Florence as a result of its exposure in popular culture. In my own experience at 3PP, the most common search engine query leading visitors to this site is not Raphael or even Leonardo, but "Rodrigo Borgia" - who is both the primary antagonist in the video game Assassin's Creed II, and a main character in The Borgias TV series - both of which feature Florence significantly. On a more global scale, this is perhaps easiest illustrated with a search volume comparison. A simple version of this test can be done looking at a google (ncr) search for "Florence Tours" versus "Assassin's Creed 2" - the latter evidently having more than double the amount of inquiries. Florence has enjoyed an unprecedented coverage in new media and popular culture in the last few years. In late 2009, the video game Assassin's Creed II was released worldwide. This game, and its sequels follow the exploits of a Florentine - Ezio Auditore - a Medici ally whose father is murdered by the Borgia. The games provide an immersive experience of Florence, Venice, Rome and Constantinople. Those with an interest in the art and history of the period will be thrilled to walk the streets and climb the great landmarks of these cities. Players witness significant historical events, such as the Pazzi attack on the Medici in 1478, and the Bonfire of the Vanities in 1497. Another great thrill comes from collaborating extensively with Leonardo, including piloting a working prototype of his famous glider design. During my visit to Florence in 2010, I was intrigued to find no attempt at cultivating this popular connection. The only reference to the game I saw was a copy of the Assassin's Creed novelisation in a book store. Attempting to understand why Florence does not try to market these connections is a complex undertaking. It surely goes beyond the proverbial cynicism and complacency of entrenched fiorentinismo. Other Italian towns are more blatant in their promotion of pop culture links - the most notable of these being the "New Moon" tours and promotions in Volterra - cashing in on the highly popular Twilight series of books and films. One immediate response would be, Florence has more to offer than a town like Volterra - the Uffizi and Galleria dell'Accademia (housing Michelangelo's David) alone attract staggering crowds. The lack of engagement of popular culture also may go beyond the fact that properties such as Assassin's Creed II and The Borgias are not an Italian cultural product. As much as they promote an interest in Italian cultural properties, they represent a market force beyond Italy itself. Hence, even though a gamer may spend hundreds of hours in a virtual version of Renaissance Italy, there is no direct economic return for this. The promotion of pop culture entities like Assassin's Creed and The Borgias may be easier to achieve if it is stated in terms of reaching a more diverse market. Florence is ostensibly not a family friendly place. Exhibitions at the Uffizi often do not have a narrative or interactive session designed for children, commonly seen at other major museums. 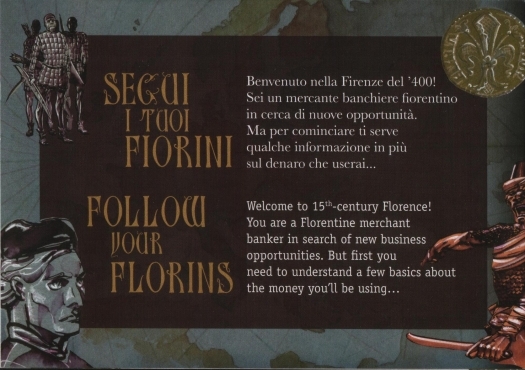 In 2011, an exhibition exploring Renaissance Money and Beauty (Denaro e Bellezza) held at the Palazzo Strozzi was noted for its refreshing use of interactive attractions and games such as "Follow the Florins" to encourage participation by a more diverse, and often younger audience. Tours, talks or exhibits promoting these pop culture links can also be seen as a teaching opportunity. 3PP's own posts reviewing The Borgias are highly popular, addressing the evidence behind historical events seen in the show. An important, recent example of this was the show's depiction of Savonarola's "Bonfire of the Vanities." In accordance with popular myth, the show depicted Botticelli adding a painting to the flames. As there is no direct evidence of this occurring, such a tour or talk could correct this and other common myths of the Renaissance - of which there are many due to the great interest in the era coupled with centuries of historical and fictional distortion. Cesare Borgia and Machiavelli watch Botticelli lead his painting to the fire in The Borgias. Inset widely believed to be a self-portrait, Botticelli in an Adoration scene for the Medici. Florens 2012 is shaping up to be a significant event in the history of the cultural management of Florence. It will be interesting to see if the recommendations of 2010 will be assessed, and whether new areas of development be proposed and discussed. I am hoping to be there to report these developments in plain terms. Arnold. D. Art History - A Very Short Introduction. Oxford University Press. 2004. Cited by Grosvenor, B. *Google ncr denotes "no country redirect" allowing access to google.com search listing without regional re-directs. I couldn't agree more with you in regards to utilizing popular culture. When it comes to video games,I was from the other end of the spectrum (I never deemed them worthy of my notice), till I read some of the posts here at 3PP. 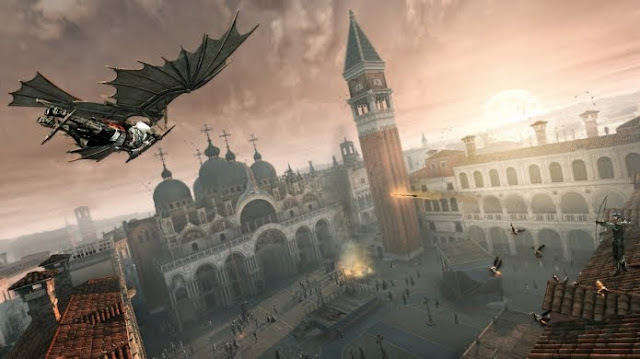 Now, I can really appreciate the spectacular visuals of games like Assassin's Creed II even if the story line is fantastical. I can understand the reticence when it comes to movies or games that cannot be considered reliable sources of information but their function is to pique the gamers or viewers curiosity. I am still fantasizing about Woody Allen making a movie in Istanbul - besides the wonders it would do for tourism, I would love to see his unique vision capture my beloved city. I think this symposium in Florence is very promising in regards to their advent into this new age. Hasan, you are right on target regarding the crucial role of digital media in forming our perceptions of works of art and historical situations. And I am sure that you will do much to liven up the mix here in Florence in November! A few random comments: In addition to the “New Moon” promotions in Volterra, the city of Arezzo jumped head-first into “La Vita è Bella (Life is Beautiful)”, Robert Benigni’s Holocaust Comedy (don’t get me started) which was filmed largely there. Tours… Film stills at all the sites that figure in the movie… Souvenirs… And nearby Cortona has been playing “Under the Tuscan Sun” for everything that it is worth (or isn’t). 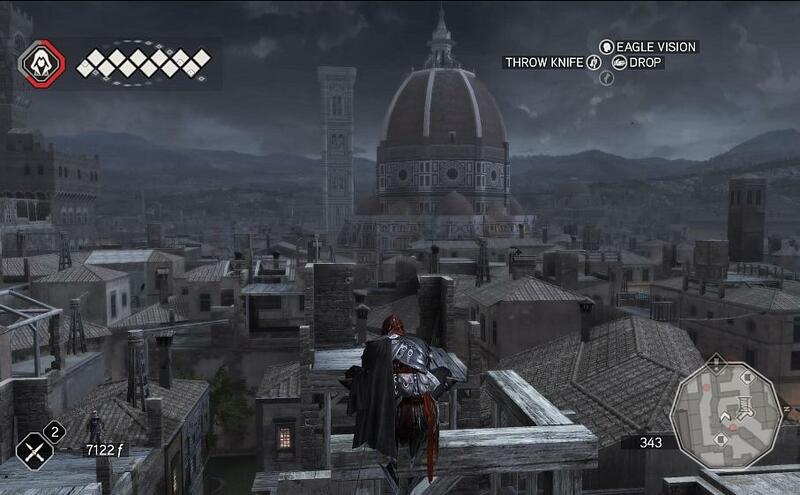 Without even scratching our heads over “Assassin’s Creed 2” and “The Borgias”, we can jump back a decade or two or three and wonder if Florence is ever going to catch on to “Room with a View” and “Tea with Mussolini”! I don’t doubt that great ideas will come out of Team Florens in November and that stimulating discussions will take place. But I freely admit to having become as cynical as a Florentine. This is a city where big ideas are traditionally ends in themselves and they disappear into the air as soon as they are ennunciated. Or else, they wither and die in committees. In November, what would I most like to see? Whenever there is a strong consensus that something is a great idea, I would like to see someone jump up and say, “This is really exciting! Let’s now map out the first concrete steps that we will take to make its happen—or at least, test its feasibility.” Maybe we can take turns?! Thanks also to Ed for the above comment. I would be thrilled if people jumped up in the crowd and said OK let's do it (whatever IT is). I kinda doubt that the Florens crowd will be so bold (you could try to bring your own peanut gallery and stage an intervention), but the Foundation really does intend to foster change. The encounter provides opportunity to see what has been done since the last report produced after Florens 2010, and to make more concrete proposals. But as you know, even if things are concrete, there are lots of road blocks (which are also made out of concrete). Hi, first of all sorry for my bad English (I am Italian)... when I first read this post I got really surprised. You say that "During my visit to Florence in 2010, I was intrigued to find no attempt at cultivating this popular connection. 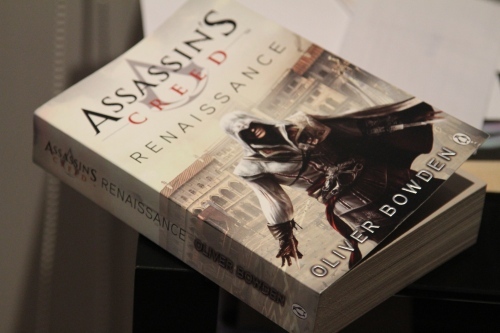 The only reference to the game I saw was a copy of the Assassin's Creed novelisation in a book store". Well, I would be seriously surprised if Florence decided to cultivate connections between its past and modern TV dramas or videogames. Florence's past is already getting more and more abused for marketing purposes (e.g. the quest for the Battle of Anghiari by Leonardo) and such operations, in my opinion, would be even more harmful for Florence and its culture. I do not know if you have ever been looking at the crowds of tourists strolling into the city and its museums: Florence is literally invaded by rude and bad-mannered mass tourists which are not so interested in its history, its art and its culture and in several occasions they also occur damage to the city (please read this article if you know Italian language: http://firenze.repubblica.it/cronaca/2010/06/24/news/muro_del_david-5105996/). I do not think that if we want to save Florence from the damages of mass tourism we have to promote the name of the city through videogames and dramas... Florence is enough overcrowded and is eager for very serious cultural politics aiming to "clean" the Accademia-Duomo-Uffizi zone taking visitors to the hundreds of wonderful places that Florence has to offer, some of them highly important for history and history of art. @Sedef - I am pleased that 3PP has elevated video games in your estimation. It is very easy to be dismissive of them. Think of the thought and effort that go into one painting or drawing. Now replicate that many hundreds of thousands of times for the work that goes into creating an interactive experience as games do. @Ed - I am also wondering if the Foundation has performed any evaluative process on past recommendations. There are of course a history of pop culture references before the two listed - though these two have happened in the age of the web - with many people interacting and distributing their experiences. It makes things easier to track. @Alex - thanks for the feedback. I am intrigued to see what actually happens at these conferences and if any of its proposals became reality. Identifying the roadblocks are of course important - even if something cannot be done now, future initiatives can learn from the data gathered. @Federico, thank you for posting your comment, and welcome to 3PP. The experience of a tourist in Florence is not an altogether pleasant one as far as the receptiveness of its natives. Crowds are always annoying, though places like the Uffizi are also badly designed to accomodate them. You seem to not like the idea of using popular culture to promote interest in the city. As the examples listed have shown, a new group of people are connecting to the city through this experience.You certainly can't stop that, so the city may as well try to use it to it's benefit and attract a new segment of consumers. Your suggested alternative of "very serious cultural politics" does not sound very appealing. My guess is that you are using the expression "very serious cultural politics" in the Italian sense (“una politica serissima per la cultura”) to mean "a seriously considered policy for managing cultural resources in an integrated and consistent manner". This is now missing in Florence, with terrible and destructive results. Florence has an enormous amount to offer visitors of various kinds with diverse interests--and it is doing it extremely badly. Every few years, there is a discussion of the need for a better program—or indeed, any program at all. I remember back in the days of Leonardo Domenici (the mayor before the present Matteo Renzi), a commission presented a study recommending that the city of Florence should focus on visitors who come here for a minimum of three days, facilitating a more broadly based experience that includes more than an unpleasant visit to the Uffizi and an unpleasant visit to the Accademia (nourished by bad pizza by the slice and 2 euro bottles of water in Via dei Calzaiuoli and Por San Maria). That study also noted (correctly, in my mind) that the city has no responsibility for bus tours that run crowds of people into Florence for a few hours from cruise ships that stop briefly in Livorno or La Spezia, or cheap hotel packages often based in distant parts of Italy. I firmly believe that no one has the right to climb on a bus in Rimini early in the morning, stare out the window for a couple of hours, then clog up the works in the Uffizi and the Accademia (or merely sit on the steps of the Duomo eating ice cream) before getting back on the bus and returning to their distant hotel for a prepaid dinner. This doesn't benefit anyone except the agency that organizes the bus tour! What matters most, I feel, is helping people form their own relationship with the city of Florence and have a personal experience--and it will not be the same experience or relationship for everyone. And I can see "Assassin's Creed Tours"(I am only using that as an example) as a constructive part of the range of offerings—helping people connect with the city (with the assumption, of course, that they will also be doing other things, in the course of several days.) Needless to say, it is a frightening thought that people might hop on a torpedone in Riccione, come to Florence for a few hours for a “Rodrigo Borgia Meets Spiderman” tour and then leave—but that is not going to happen, I don’t think! Florentines often talk about the ideal “cultured tourist” (“turista colto”) who will come and do intelligent things and spend serious money. Meanwhile, they allow the environment to be destroyed that would attract people of that kind. Also, their vision of the “cultivated tourist” seems to hark back to the Grand Tour of the eighteenth century, the Firenze Capitale of the mid-nineteenth century and the Maggio Musicale back in the old days. In the twenty-first century, the target should be the “aspiring cultivated tourist”—the visitor who is reasonably intelligent but not entirely formed. Especially younger ones (early 20s to mid 30s) who might be returning to Florence every few years for the rest of their lives. What a fascinating article, and the discussion that it has encouraged with opinions from several facets makes this a stimulating read. for creating a "game" that’ll work towards determining what is unique and important in the local culture; how to focus on tapping into available resources; and organizing and implementing to create a strong sense of place; and maybe taking one step towards sorting out these types of problems. @Ed - Oh Ed! I cant stop laughing at "Rodrigo Borgia meets Spiderman" - which is a very clever and perhaps typically Florentine absurd reduction of Assassin's Creed. Incorporating these elements into a tour or talk are one option, though I myself was more leaning towards an app or even just a good old paper map/guidebook that could lead people to locations and fill them in on the details. It would ideally be multiplatform, where users could have the option of smartphone app or a map/itinerary, depending on their needs/budget. If done as a smartphone app, rewards could be set up that sharing an image or tweet etc about it unlocks other locations/rewards. They're just ideas of course, but I'd prefer to focus on them instead of making jokes! As for "serious cultural politics" - that really is a government issue and quite plausibly impossible in a place like Italy?! @Crystal - many thanks for your most innovative contribution to the Florens 2012 discussion. I have visited the post and left a comment. We first visited Florence in 1998 in part to visit our daughter who was an NYU student studying there that summer. By that time she knew the city well and acted as our guide. We visited the Uffizi and the Accademia where I was able to take a whole role of shots of the David and others with my old 35mm film camera. I don't think it's possible anymore. We stayed at the posh Hotel Brunelleshi only a short walk to the Duomo and Baptistry. The hotel was fine by the noise from the Vespas was incessant. In subsequent years we preferred the lovely Hotel Silla across the Arno near the Porta S. Niccolo. Anyway, I say all this because we enjoyed every trip to Florence and the hordes of tourists never bothered us. They seemed to be part of the venue. Even in the Uffizi they come and go but you can still see all you want. I love this post! Along with Sedef, I have basically rejected video games as a part of my life, much to my children's chagrin. However, when we were in Istanbul last month, my sons talked about Assassin's Creed III, set in Istanbul (well, Constantinople, but Istanbul is what they were seeing around them). My 11 year old even called the minarets "jumping poles" -- no disrespect intended, but I think that characters swing around them in the game. In my opinion, anything that can help connect people with history and encourage them to learn more, maybe even visiting places of interest, is all good. Alexandra, I'm enjoying imagining the intervention you describe! Former sindaco Domenici, aiming Florence's toursim at those who stay a few days, reminds me of some of my best times in historic towns: on islands, where the day-trippers land at 10.30 and leave on the last boat at 6.30. The economy is infused with necessary cash, and from 6.30 locals and real tourists can live! And the place can breathe. Perhaps all historic cities, like Firenze, should as of old, man their gates; opening them at 10.30am and close them at 6.30pm. Why not? The beauty of digital tourism is that physical bodies need not clog the streets and galleries. Living in London I do sympathise with Federico's weariness of mass tourism, which can feel at times overwhelming and degrading to the authentic identity of a place and culture. I hope I live long enough to see virtual travel advance to the point that we can stroll through the streets both real time and historical time via our personal holo-treadmills.